6061 bare aluminum strip of haomei aluminum. 6061 is a precipitation-hardened aluminium alloy, containing magnesium and silicon as its major alloying elements. can be processed into varieties of tempers, such as O, T4, T6, T651, etc. Among them, T4 and T6 are the most common ones for their good machanicability and weldability. 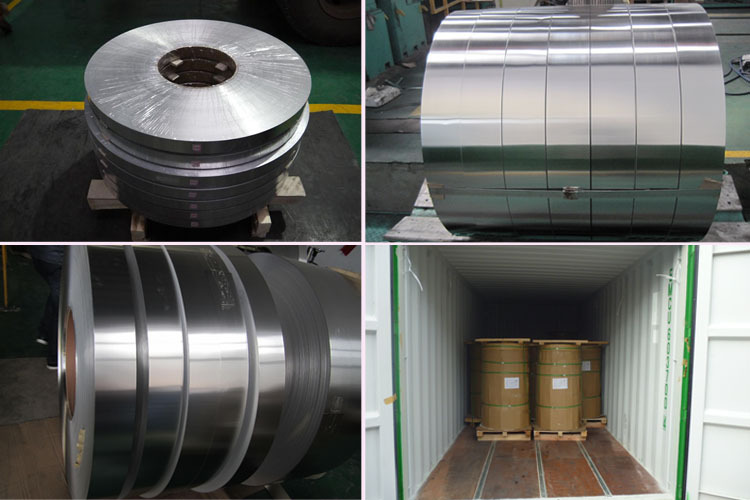 6061 bare aluminum strip is generally used industrial structure frame, which requires high anti-correction, such as truck, construction, ships, trolley bus, railway transit, etc. 6061 Aluminum strip products of haomei . meet the export standard. Plastic film and brown paper can be covered at customers’ need. What’s more, wooden case or wooden pallet is adopted to protect products from damage during the delivery. There are two kinds of packaging, which is eye to wall or eye to sky. Customers can choose either of them for their convenience. Generally speaking, there are 2 tons in one package, and loading 18-22 tons in 1×20′ container, and 20-24 tons in 1×40′ container.